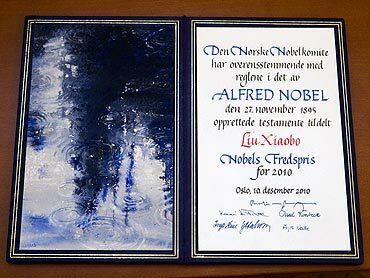 Chinese activist Liu Xiaobo, who is serving an 11-year jail term for demanding more fundemental rights in the communist nation, was awarded the Nobel Peace Prize in absentia in Oslo, Norway on Friday afternoon, local time. 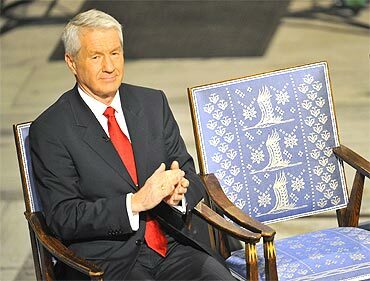 An empty chair next to the seat of Chairman of Nobel Peace committee Thorbjoern Jagland reminded the thousand strong audience about the absence of the human rights activist, who is languishing in a jail in China. 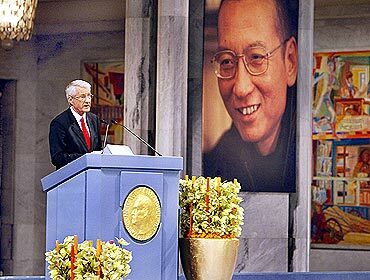 The award was conferred to Xiaobo "for his long and non-violent struggle for fundamental human rights in China". 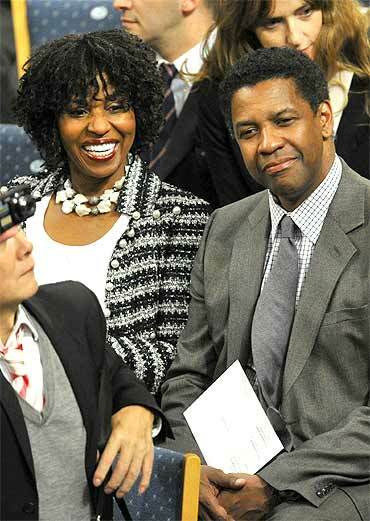 The glittering event was attended by Norwegian King Harald, Queen Sonja, Hollywood actors Denzel Washington and Anne Hathway. The Nobel Peace Prize this year has attracted enormous publicity, after China made its outrage over the Nobel committee's decision to award the Peace Prize to Xiaobo loud and clear. China had urged other nations to boycott the event and threatened to cut diplomatic ties with Norway. The Chinese government claimed that the committee's decision to award the Peace Prize to a known dissident was the West's attempt to undermine China's judicial system. It has also blocked the telecast of the ceremony. Chairman of Nobel Peace committee Thorbjoern Jagland introduced Liu in absentia. "We regret that the laureate is not present here today. He is in isolation in a prison in northeast China. Nor can the laureate's wife Liu Xia or his closest relatives be here with us. No medal or diploma will therefore be presented here today. This fact alone shows that the award was necessary and appropriate. We congratulate Liu Xiaobo with this year's peace prize." Jagland said that Liu, from prison, told his wife he wants his prize "dedicated to the lost souls of 4 June", that is those who died on Tiananmen Square in 1989. "It is indeed a pleasure for us to fulfil his wish," he said. "He was sentenced to jail because he violated Chinese law," Chinese Foreign Ministry Spokesperson Jiang Yu earlier told a media briefing, replying to a spate of questions on the issue. 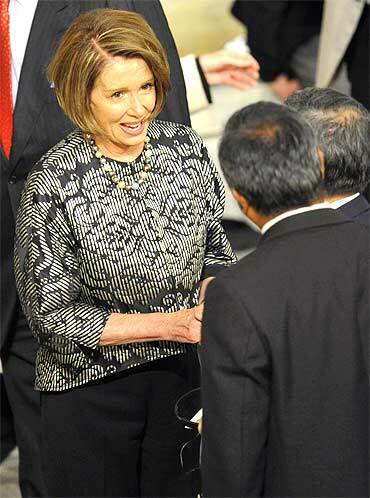 "I think that his (Liu's) act is in complete contrary to the purpose of Nobel prize," Jiang said. The communist government has also turned down repeated requests, including one from United States President Barack Obama, for the release of Xiaobo. Incidentally, Obama, the 2009 Nobel Peace Prize winner, had this to say on Liu Xiaobo, "Mr Liu Xiaobo is far more deserving of this award than I was." For over two decades, Liu Xiaobo has been a strong spokesman for the application of fundamental human rights also in China. He took part in the Tiananmen protests in 1989; he was a leading author behind Charter 08, a political manifesto calling for human rights and the rule of law in China, which was published on the 60th anniversary of the United Nations' Universal Declaration of Human Rights, the December 10, 2008. The following year, Liu was sentenced to eleven years in prison and two years' deprivation of political rights for "inciting subversion of state power". This is not the first time the Nobel Committee has attracted China's ire. Its decision to award the Nobel Peace Prize to Tibetan spiritual leader Dalai Lama was also severely criticised by China. In the past, former Polish President Lech Walesa and Myanmar's pro-democracy leader Aung San Suu Kyi were not able to take the award in person because they were incarcerated. 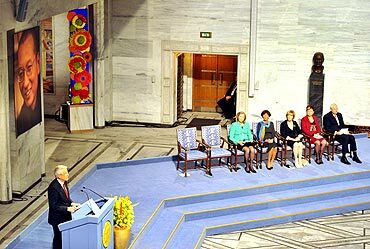 The ceremony was also attended by many exiled Chinese dissidents, ambassadors, Norwegian royals and other dignitaries who gathered around the empty chair to hail absent Nobel Peace laureate Liu. 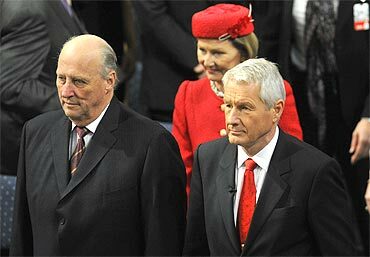 During the ceremony, repeatedly punctuated by applause and standing ovations, Nobel Committee Chairman Thorbjoern Jagland said the Nobel award is not 'anti-China' and the panel's intention was 'never to offend anyone'. 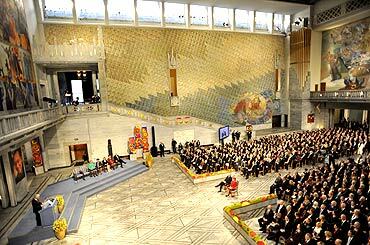 Speaking about relations between human rights, democracy and peace, he said the award reminds the world that the rights enjoyed today by people was because of the great risks taken by many for others. He said Liu is a symbol of non-violent struggle for human rights. "China must be prepared for criticism," Jagland said. "The empty chair is a very strong symbol (that) shows how appropriate this prize was," he told a press conference before the ceremony.